Finnair Airbus A350-900 Economy Class. 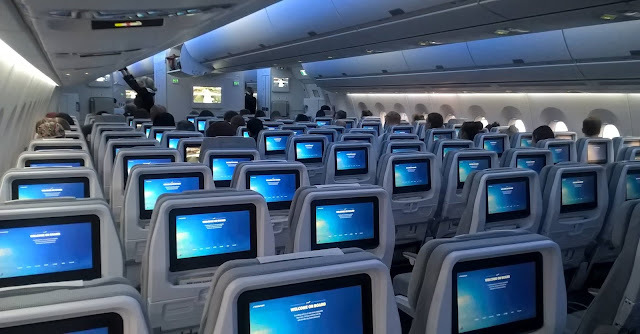 There are 3-3-3 seating configuration in economy class of Finnair Airbus A350-900. The newest variant widebody aircraft of Airbus. 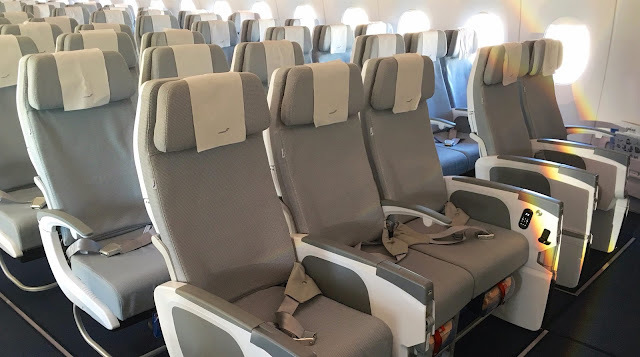 Take a look to the seats, Finnair prefer uses nice and comfortable fabric seat cover than fancy leather. While, this picture above shown the rear view of economy class. There are individual in flight entertainment system in each seat. No boring during flight, guarantee.